As promised from last time, here’s a Calayan Island travel guide and sample 5 days itinerary. 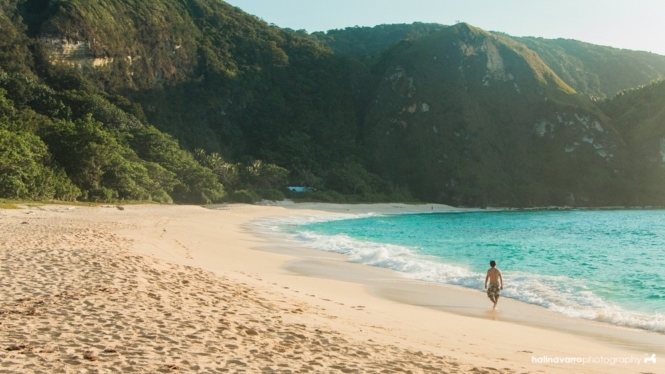 A lot of you may be unfamiliar with Calayan Island. Calayan Island is one of the 5 major islands comprising the Babuyan Islands in Cagayan Province. It’s located in Luzon Strait, just below Batanes. Along with Babuyan Claro and Camiguin Norte, it’s one of the rarely visited islands in this part of the country. 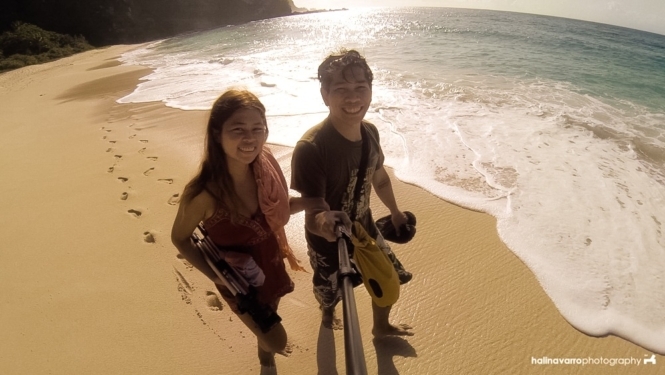 Hali and I joined a DIY group tour to Calayan Island. As such, we’d like to credit our organizer Kuya Jolo for most of the information posted here — the rest are from our previous research. We went on a road trip to Calayan Island. Overall, it took us 20 hours of land and boat travel to get there. Go to Sampaloc, Manila, and ride a Florida or RCJ bus, en route to Tuguegarao. 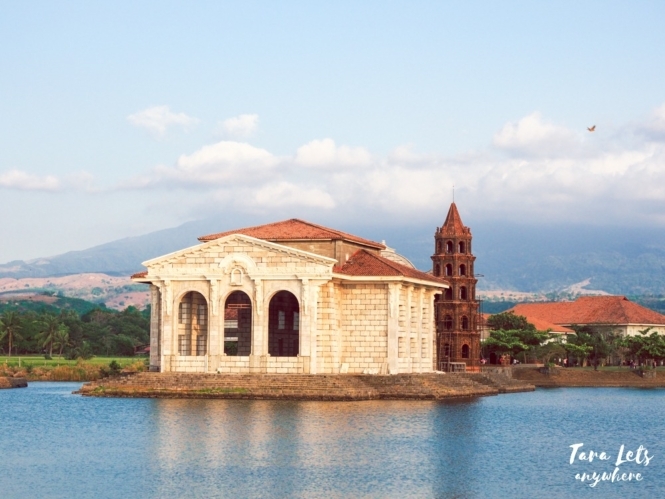 Alternatively, you can also take a local flight to Tuguegarao. From Tuguegarao, ride a van to Claveria. Head to the port in Aparri or Claveria and get aboard a passenger boat (locally known as lampitaw) bound to Calayan Island. The boats normally leave in the morning, at about 6:00 AM. The boat ride takes 5-6 hours or more, depending on sea condition. An airport in Calayan is currently in the works. The airport was slated to be completed last 2015, but as of our visit in 2016 it is still not operational. Update: Calayan Airport officially opened this March 2019. 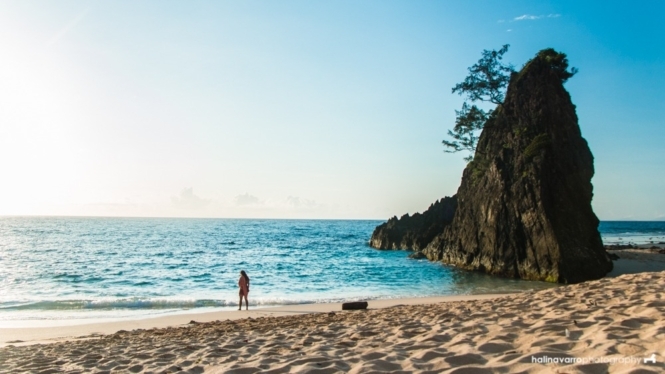 Summer is the best time to visit Calayan Island. Boat travel to Calayan Island during ber-months is considered risky, and there had been incidents in the past when passengers have died. Under rough sea conditions, boat ride can extend 7-9 hours. I get a lot of questions about this, and I’m simply relaying the most recommended time to visit this island. It’s still your choice when to visit. During summer, sea conditions are manageable. There’s also a chance, albeit slim, of seeing dolphins and humpback whales in the open sea during the boat ride. Here is our original 5 days itinerary in Calayan Island. This is basically just a guide. As said above, with varying sea conditions, we had to change plans as we see fit. In our first day, we planned to ride boats from Villa Inocencia Inn to Sibang Cove but ended up walking instead. It took a 10-minute kuliglig ride (1 hour on foot) from the jump-off point and then about a 45-minute trek to Sibang Cove (15 minutes according to our guides; but by now we all know that guides live in a different time-space continuum). On the second and third day, we also waited for calm sea conditions to visit Malansing Falls. We missed visiting it altogether. Also, I personally think Calayan Island is a place for unwinding and taking things slow. Just go where your feet leads you. 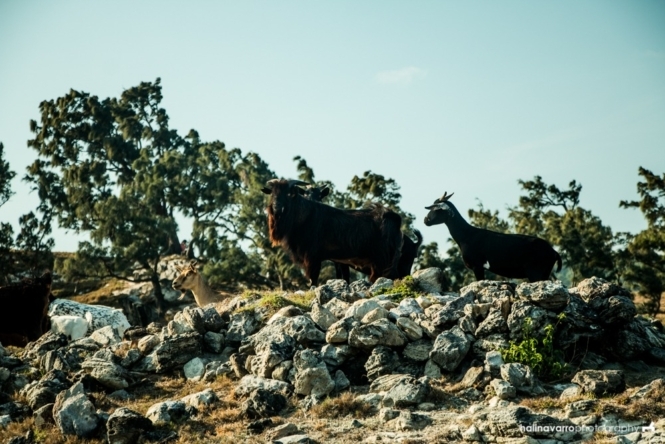 For one, I could spend a whole day just bumming in Sibang Cove and then another picnicking and chasing goats in Nagudungan Hill. A friend who’s been there twice feels the same. 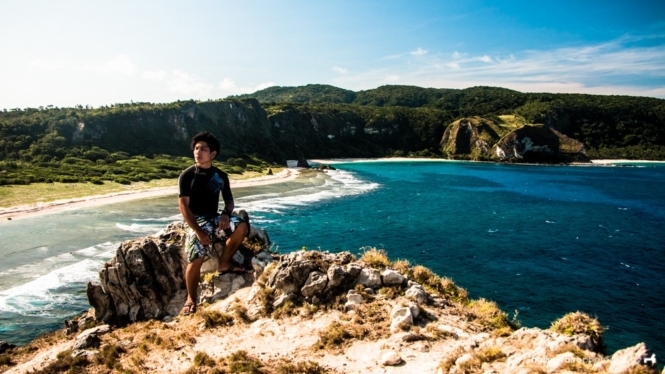 Here are the spots you can see in Calayan Island. Our favorite would be Sibang Cove and Nagudungan Hill, which are just right next to each other. Here are some of our photos in Calayan Island. You can also check our photo gallery of Calayan Island here. During our visit, there were some places that we didn’t know about. For instance, we weren’t aware of Caanawan Falls which is just Bataraw Falls. We also found a hill above the Tapwakan Cliff, although at that time we didn’t know that it was the one called Bangaan Hills. 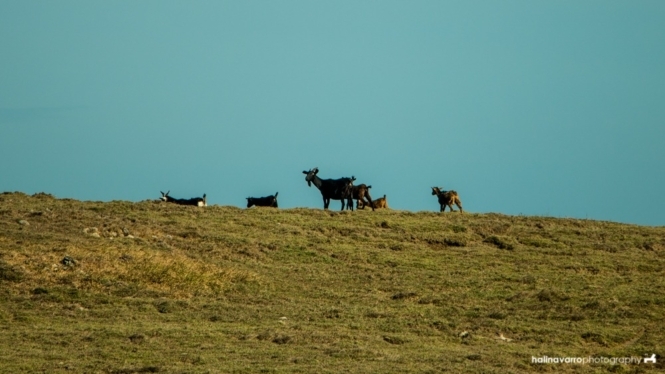 Similar to Nagudungan Hill, it’s a grassland offering good views and a leisurely spot for goats. You can find a cross in Bangaan Hill. 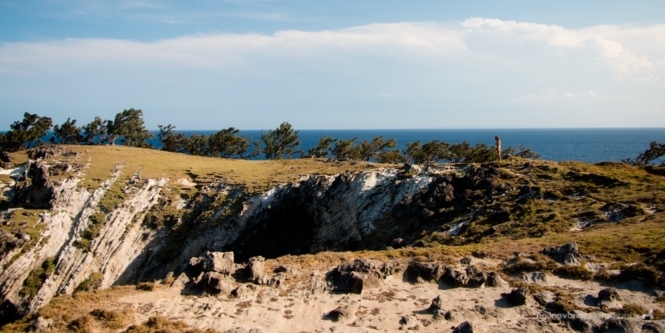 This guide is updated so you can explore everything there is in Calayan Island! If you have other places to add in this list, let us know in the comments section. 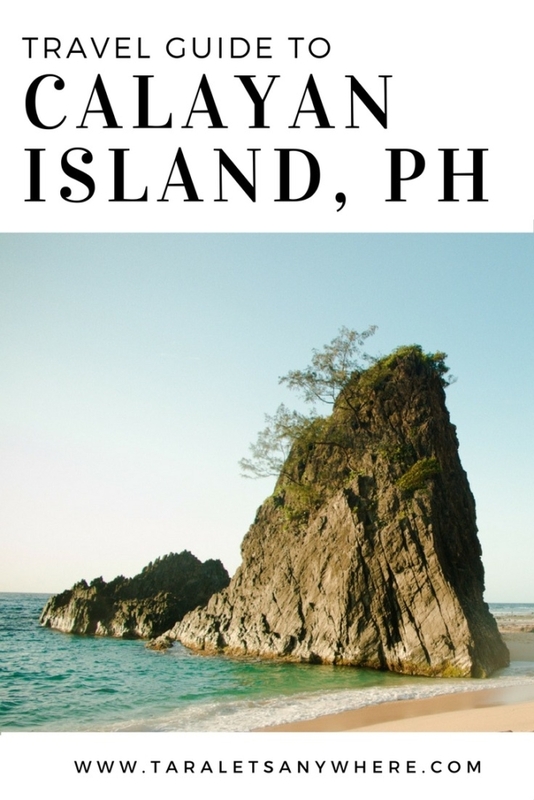 There are a few homestays and resorts where you can stay in Calayan Island. I’ve listed some of them here, but if you want to know other options, you can contact Calayan’s tourism officer (see Contact Section below). Your selected accommodation can also help you arrange getting rides for land and boat travel. Aside from these listed here, we also passed by another resort owned by the mayor of Calayan Island, though I wasn’t able to jot down its name. It was dark, we were walking for about 1.5 hour from our visit in Nagudungan Hill, and we entered the resort by mistake. Our event in Facebook was named “Lost in Calayan” and Hali kept making puns about this. During our visit (2016), we stayed in Villa Inocencia Inn, a two-story house with 6 rooms. I’d say it’s okay but it requires necessary upgrades: including running water and functional door lock in all bath rooms, electric fans for all rooms, clean mattresses complete with bed sheets. Among the things listed here, this was the one that really bugged me. I supposed we could’ve asked for clean sheets, but we’d always arrive exhausted or had other things in mind. Like other accommodations in Calayan Island, the rent overnight there is cheap. If you have more time for your vacation, at least a week for instance, you can also visit the rest of the islands in the area: Babuyan, Dalupiri, Fuga and Camiguin Norte. A short but convenient way to explore these islands is through a chartering a private boat for a Babuyan Islands triangle tour. A Babuyan Islands triangle tour includes Calayan Island, Babuyan Claro and Camiguin Norte. The island hopping fee is P8,000-10,000 (as of 2018), depending on your haggling skills. It’s expensive since boats don’t normally go from Calayan Island to Camiguin Norte. I was told by a resident that some fishing boats do, and you can ride along if you’re lucky to chance upon one during your visit. Otherwise, you’ll have to get back to the port in Claveria where there are daily boat trips to either location. The caveat is that some of you may find the triangle tour too short for visiting all three locations in a single day. A good acquaintance recommends staying longer in each island instead. 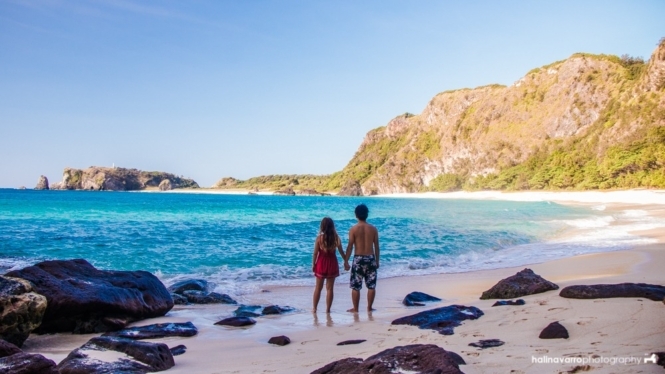 For the budget, we spent about P6000 each for this 5-day Calayan Island itinerary. We chipped in P2500 each for a private van rental, which served as our round-trip transfer from Manila to Claveria and back. If you’re going to commute, the transportation cost is about P1000 one way (P850 for the bus, P170 for the van). We paid P1000 each for a round-trip boat ride to Calayan Island. The rest — accommodation, food, land and boat transfers and tour guide fees — were divided evenly among the group. Our boat costs P1500-P2000 each and each tour guide has a daily rate of P500. Note that the boats do not actually have a standard rate. It depends on your group size and how many boats you’ll require. You can haggle the island hopping rate but I suggest not to especially if the rates offered to you are reasonable. This is to support our locals who benefit from tourism, especially in Calayan Island where visitation is normally limited during summer. The same goes for land transfers, via habal-habal or kuliglig. For the meals, we had a cook that delivered our food, and we paid for the dishes per plate. My favorite home-cooked dishes were kinilaw and spicy buttered lobster. For the latter, we’d contributed P50 each for one large piece to go along with our main meal. Lobsters are incredibly cheap in Calayan Island. Exclusive of tour rates, an estimated daily budget including food and accommodation is P500 per person. If you plan on going to Calayan Island for 5 days as we did, a safe budget would be P5500 – 8000 per person. This applies to whether you’re going to commute or ride a private van. Add a little extra to your overall budget in case you get stranded, which is a possibility even during the height of summer. Here are a few basic reminders you need to know before setting off to this northern island in Babuyanes. Waterproof your hand-carry on the boat ride; you may also bring a raincoat if you wish. During our visit, there was no signal from Globe network; Smart and SUN are fine. There is no ATM machine in the island; make sure to bring all the cash you need and a little more in case you get stranded. No electricity in the island from 12 midnight to 12 noon. We were told there wasn’t any market but there’s a store that sells refrigerated meat. If you want to eat fresh seafood, inform your hosts ASAP so they can buy from fishers in the morning. I’m not sure if it’s the same all over the island or only in Barangay Dadao where our inn was located. Prepare for the possibility of being stranded for a few days. Schedule your trip when you can afford to take a longer leave at work, for instance. While in Aparri, drop by Ten-Ten’s pancit cabagan restaurant and order their pancit specialty. It’s just a few-minute drive from Aparri port. For safety purposes, always get updated on the weather conditions and watch out for gale warnings. You can also contact Calayan Island’s tourism officer for any other questions. The other numbers here I haven’t personally contacted but had listed for reference early on, before deciding to joined a do-it-yourself organized event. So I’m leaving it up to you guys to contact these people. do you avail a package tour? and if you do.. Yes. Every travel that involves a boat ride is expensive for a solo traveler. I was wondering if you have a pic of the Town centre where the municipio is located close to the Catholic church/school n the elementary school nearby. I was in Calayan some 30 yrs ago. I wonder how the Town centre now looks. Hi Toni. I don’t think we’d seen the municipal hall. @Toni, the town center especially the church had improved a lot. The elementary school looks good as well. I think there are also some tables for picnic at the right side where the palm trees are of the docking area. @Katherine the municipal hall is the building across the covered court and the same building connected to the MV Eagle Ferry payment office. I will be going home to Calayan on the 26th of April! Hi, are you also planning to go to Calayan? Maybe we can join you. We are 3 and planning to depart on OCt 3 and stay until Nov 3. What time was your departure from Manila to Aparri? We visited last May. 🙂 I think even if you visit during summer there’s still a chance to get stranded so what I’d do is prepare some extra cash.